currently in preconstruction at 6676 Georgia Avenue Northwest, Washington. The development is scheduled for completion in 2020. Sales for available units start from the low $400,000's. The Brooks has a total of 89 units. 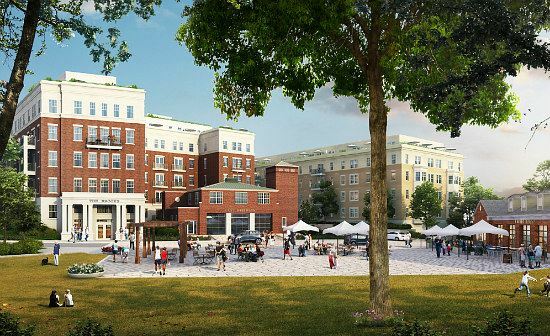 Sow the seeds of a new beginning at The Brooks, a collection of elegantly appointed condominium residences located in the heart of the Historic Walter Reed campus. With timeless features and expansive views overlooking the Great Lawn, The Brooks creates a space to breathe in Washington, DC. Your inquiry will be delivered to the The Brooks sales team, who will send you more information about this development.